"No one here is exactly what he appears." 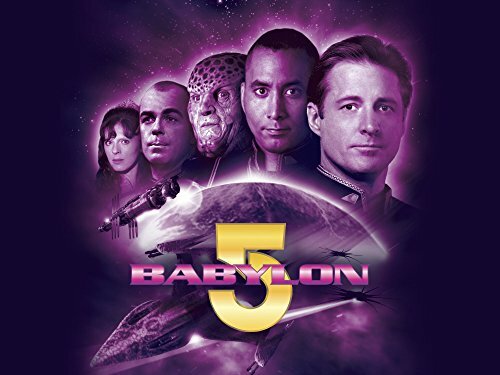 In an exciting development, all five seasons of Babylon 5 are available to stream online, HD, courtesy Amazon Video! I've listed them below for easy access. "It was the dawn of the third age of mankind – ten years after the Earth-Minbari War. The Babylon Project was a dream given form. Its goal: to prevent another war by creating a place where humans and aliens could work out their differences peacefully. It's a port of call – home away from home – for diplomats, hustlers, entrepreneurs, and wanderers. Humans and aliens wrapped in two million five hundred thousand tons of spinning metal… all alone in the night. It can be a dangerous place, but it's our last best hope for peace. This is the story of the last of the Babylon stations. The year is 2258. The name of the place is Babylon 5." "The Babylon Project was our last, best hope for peace. A self-contained world five miles long, located in neutral territory. A place of commerce and diplomacy for a quarter of a million humans and aliens. A shining beacon in space, all alone in the night. It was the dawn of the Third Age of Mankind… the year the Great War came upon us all. This is the story of the last of the Babylon stations. The year is 2259. The name of the place is Babylon 5." "The Babylon Project was our last, best hope for peace. It failed. But, in the Year of the Shadow War, it became something greater: our last, best hope… for victory. The year is 2260. 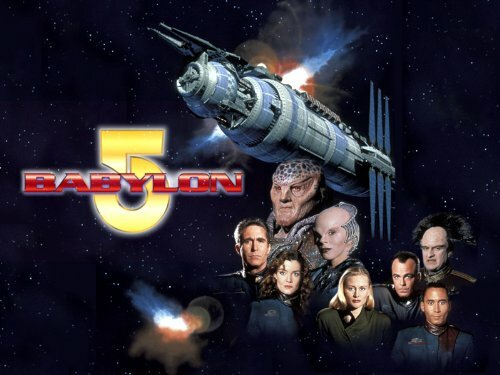 The place: Babylon 5." "It was the year of fire… the year of destruction… the year we took back what was ours. It was the year of rebirth… the year of great sadness… the year of pain… and the year of joy. It was a new age. It was the end of history. It was the year everything changed. The year is 2261. 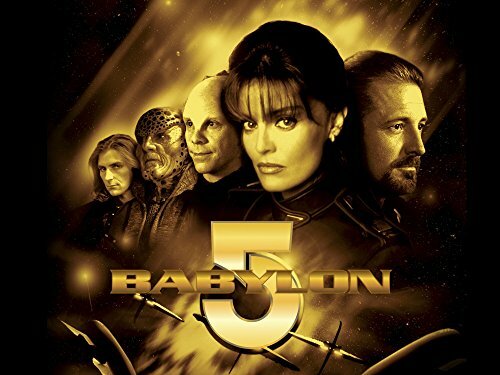 The place: Babylon 5." "And so it begins. — There is a hole in your mind. — What do you want? — No one here is exactly what he appears. — Nothing's the same anymore. —  Commander Sinclair is being reassigned. — Why don't you eliminate the entire Narn homeworld while you're at it?! — I see a great hand, reaching out of the stars. — Who are you? —  President Clark has signed a decree today declaring martial law. — These orders have forced us to declare independence. — Weapons supplies — ...unless your people get off their encounter-suited butts and do something! — You are the One-Who-Was. — If you go to Z'ha'dum, you will die. —  Why are you here? Do you have anything worth living for? — I think of my beautiful city in flames. — Like giants in the playground. — Now get the hell out of our galaxy! — We are here to place President Clark under arrest."